Sometimes practical or aesthetical reasons make it impossible to use louvers to supply combustion air to a mechanical room or laundry facility. In these cases, an ENERVEX SFTA Air Supply Fan can be installed inline to ensure a constant supply of air. Need to further optimize performance? 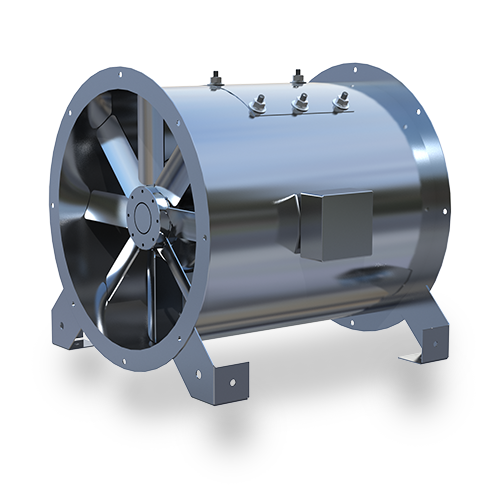 Add an ENERVEX EBC 31 Modulating Pressure Control to control the fan speed. This constantly keeps a slightly negative or neutral room pressure - no matter the load. A sophisticated multi-use draft and pressure controller with integrated webserver and remote access used with fans and dampers to monitor and maintain a constant pressure in commercial boiler and building applications.